Custom imprinting (included in the price of the tag). Consecutive numbers or farm/ranch name. Up to 3 lines of 13 characters per male/female side. Logos/Brands have a one-time setup fee of $15 per design. 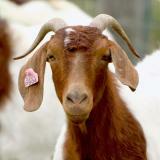 Excellent for adult rams and ewes. Readable by most folks. Not too heavy for an adult animal's ears. Customize your tags! 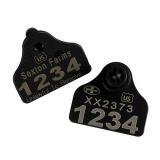 We can customize your tags with consecutive numbers or farm/ranch name. Usually shipped within 2 business days. How to order: See Customization information below. When ordering blank tags, type "Blank" in the Customization Instructions box on the shopping cart page. Scrapie approved in all colors except blue. 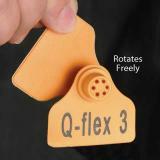 Insert tags using Q-flex, Pro or Allflex applicators. 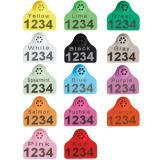 Tag colors in order of visibility and contrast of the printed numbers: Yellow, White, Spearmint, Salmon, Pink, Lime, Black, Blue, Fuchsia, Red, Green, Gray, Purple and Orange. 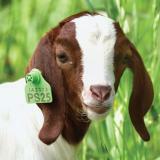 Can be custom imprinted: 1) Consecutive numbers or farm/ranch name. 2) Up to 3 lines of 13 characters per male/female side. Can also handwrite on them with Marking Pens. Premier can custom laser imprint our tags before they leave our door. 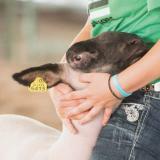 Numbers must be consecutive with or without repeating farm/ranch names. Up to 15 characters and 3 lines per side. Logos/Brands have a one-time setup fee of $15 per design. Imprint location—indicate male side, female side or both. We will print both sides (male and female) unless otherwise specified. Enter tag numbers/letters in the Customization Instructions box on the shopping cart page or in the Comments box on the Payment Options page during checkout. Custom-imprinted tags are not returnable. Blank tags—Enter package quantity of tags above and type "Blank" in the Customization Instructions box on the shopping cart page. 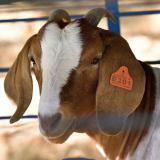 Individual names, numbers or replacement tags—Specific animal names on each tag as well as individual numbers out of sequence can be done. But it takes much more machine time per tag, so the cost per tag is $2.50/tag. Please call Premier at 800-282-6631 to confirm your requirements. Note: You can also hand write numbers and letters on blank tags or supplemental data on already printed tags. Use our Marking Pens. Your Flock ID number (we are not allowed to keep this on file). The range of the 4-5 digit individual animal numbers (i.e. 4501-4520 or 45001-45020). 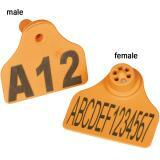 Male side of the tag has two lines for custom imprinting (individual animal ID number is not automatically added). Specify what you would like on the two available lines as Line 1:____ and Line 2:____. (This is a good place to add the individual animal ID and a farm name). Scrapie tags not available in blue. 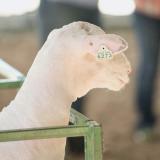 Flock ID number is imprinted on female side only unless otherwise indicated. The male and female tags will come to you slightly connected. You will need to tear them apart. Place the flag of the female tag under the metal spring finger. The printed side of the female tag will be against the jaw of the applicator. Slide the male tag over the metal pin. Be sure to push it all the way onto the pin. The printed side of the male tag will be against the other jaw of the applicator. Make sure the tag is correctly placed. Slowly squeeze the handles together to be sure the male pin aligns with the female opening (be careful to not put the tag together yet). Place the ear between the jaws of the applicator. While gripping the ear, quickly and firmly squeeze the handles together until the male tag is inserted through the ear and into the female tag. Tag placement is critical to success! Avoid the large veins in the ear. Why? Tissue around damaged veins heals slowly—so it’s prone to infection. 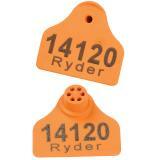 Custom imprinted ear tags are not returnable. Note: We will print both sides (male and female) unless otherwise specified. Plastic tags (all brands) are much easier to install if they are warm. Why? As the temperature drops below freezing plastic becomes less flexible (more stiff) and forcing the male point of a tag through the female takes many more lbs. of pressure (because the female must expand). 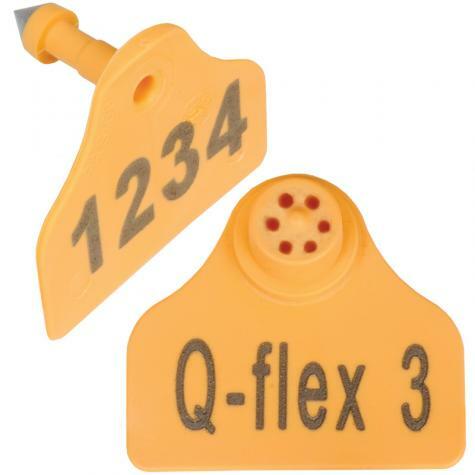 Used for applying all styles of Q-flex ear tags. Powder coated aluminum won't rust. 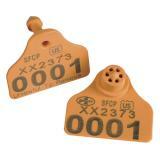 Make clear, readable marks on livestock identification tags. Useful for putting notes on tags. Make readable marks on z-tags. We like these for adding supplemental information other than I.D. number. 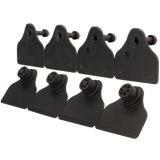 Number of reviews: 76 customers reviewed this product. Recommended: 72 out of 76 said they would recommend this product to a friend. I am extremely impressed with our new tags. We order these tags as our farm’s scrapie tags. Love that you could customize them to meet my specification and the needs for the scrapie program. Very professional company to work with. We had also been more than satisfied with our Premier1 products. 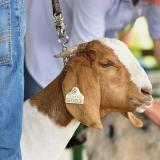 The size is big enough to see from 20' but small enough that it still fits in a newborn lamb's ear. Green color makes the printing somewhat less visible than the lighter colors but it's not really a problem. Premier makes it so easy to order! The tags work great. We have used them 4 years and have never lost a tag yet. Easy to read and insert. Love having the flexibility to customize as well. I love these ear tags! 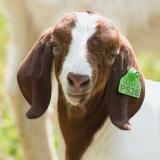 Easy to use, customized with my herd prefix, easy to read, and official scrapie tags. I like the option for a variety of colors too. Order was done exactly how I wanted it and was shipped out extremely fast. Very very satisfied.